Planning a trip to Hong Kong? 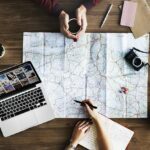 If you only have 2 days in Hong Kong, we have the perfect itinerary written by a local to make the most of your short visit. Read on for the best things to do, where and what to eat and other essential insider information. With over seven million inhabitants living on 1,104km² of land (plus 1,648km² of water), Hong Kong is one of the most densely populated cities in the world. But there is so much more than just a modern metropolis. 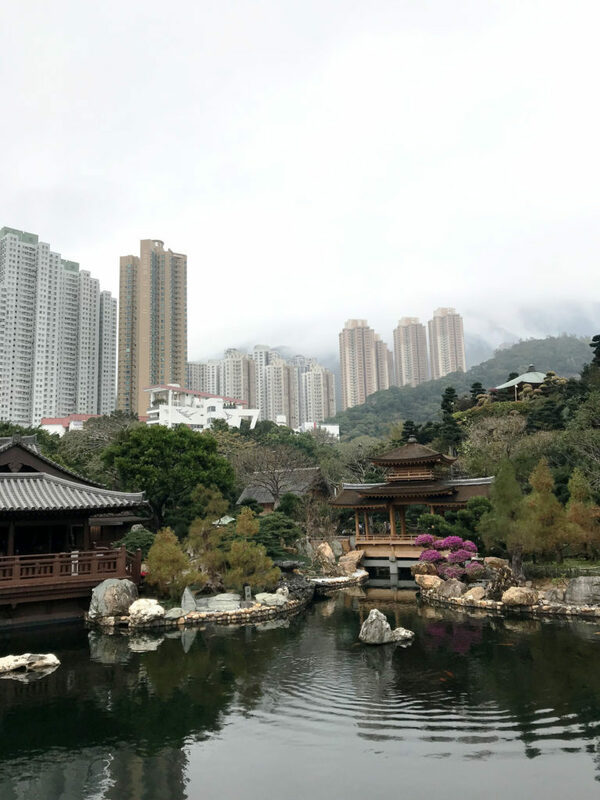 Having been ruled by the British for over 156 years, along with Chinese heritage, Hong Kong has invented its very own hybrid culture, and it is truly where the East meets West. From traditions, cuisine, and more, we have the best of both worlds. Here is a guide for first-timers on how to have a great and unique experience in Hong Kong. If you’re into photography, Choi Hung Estate is one of the locations you should go to. This residential estate complex is consisted of 11 buildings and over 18,000 residents. 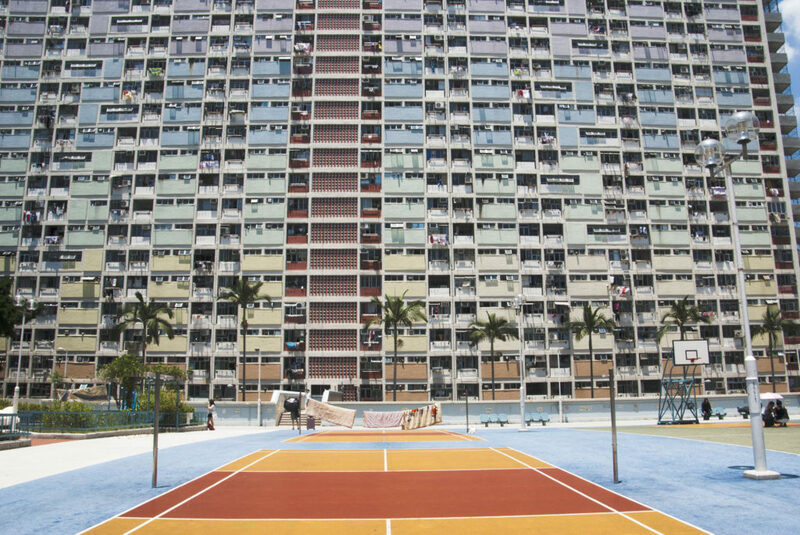 The estate was built in 1962-64, making it one of the oldest public housing estates in Hong Kong. It is famous for its rainbow coloured exterior (since Choi Hung means rainbow in Cantonese), and it also won a Silver Medal at the Hong Kong Institute of Architects Annual Awards in 1965. The basketball court is perfect for taking pictures with the colourful façade as a backdrop, with movement at the courts as the foreground. It is also a good place for some people watching. Chi Lin Nunnery and Nan Lian Garden is a Buddhist nunnery complex designed and built in Tang Dynasty style. Despite being within close proximity of the nearby highways, high rise buildings, and shopping centre, it is a nice spot hidden away from all the hustle and bustle. It is definitely a great escape if you are in need of some tranquility and serenity. A unique feature of the architecture is that it is all built with timber, and not a single screw was used. Wong Tai Sin Temple is one of the many popular tourist attractions in the city. Built in 1921, the temple is listed as a Grade I historic building. It is also one of the few temples where three religions – Confucianism, Buddhism, and Taoism – coexist in one space. 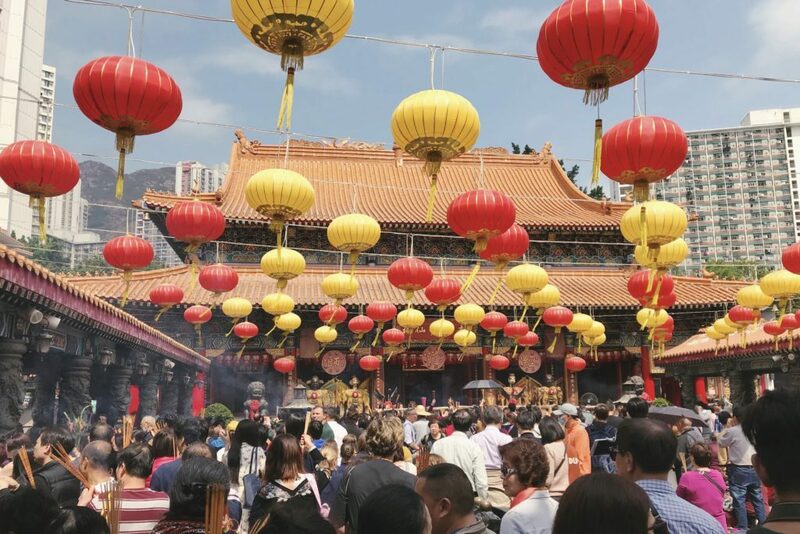 As per traditions, people usually make their offering on the first and 15th day of every lunar month, and the temple would be especially packed with worshippers. Nevertheless, it is a good opportunity to observe how the traditions are practised. You can also have a go with kau cim and see what destiny has in store for you. It is a traditional fortune telling ritual which is conducted by shaking a canister that contains 100 bamboo sticks, and the one stick that falls out determines your fortune. Personally, I reckon that Mong Kok is the epitome of Hong Kong, where you are guaranteed a quintessential Hong Kong experience. 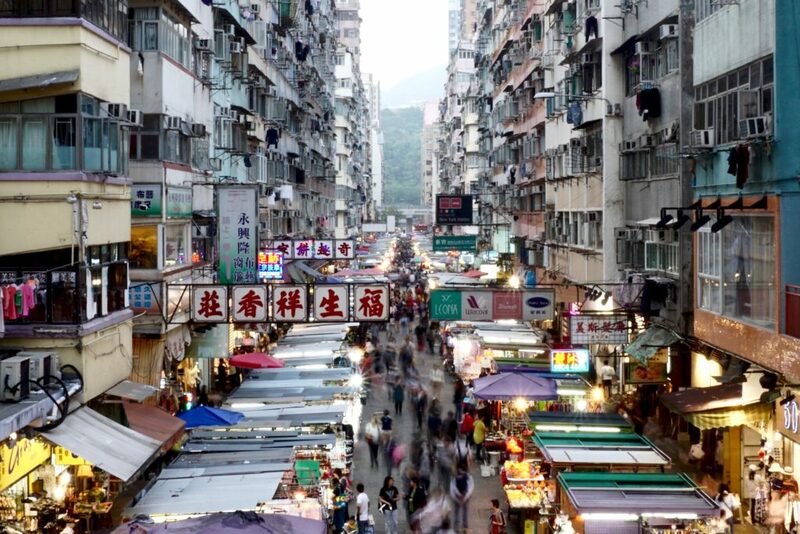 Crowded streets packed with pedestrian and traffic, shops trying to catch your attention with loudspeakers, with countless street food joints at every corner, Mong Kok is indeed a very hectic area. This is also where Ladies’ Market is found, and despite being quite touristy, it is worth visiting if you’re into cheap souvenir, and/or curious about knockoff goods (from Supreme to Louis Vuitton). Mong Kok is also home to many smaller niche shopping arcades, including electronics and computer accessories, fashion, accessories, and more. Tsim Sha Tsui is another busy shopping area, but more upmarket than Mong Kok, and you will find countless dining and shopping options in the many major shopping centres. But that’s not it. More importantly this is where you can admire the world-renowned skyline. Great locations in the area include the promenade outside the Clock Tower and Cultural Centre, viewing platforms in Harbour City, and by Star Ferry Pier. Not often visited by many people, but Kowloon Park is a great place to go to if shopping is not quite your thing. This is not just a regular park, and there might be things that you would never expect to see in the middle of a busy shopping district, i.e. flamingos, an aviary, and more. What’s better than seeing the Victoria Harbour view? Being part of the view itself! From Tsim Sha Tsui you can take the ferry and sail across the harbour to Central or Wan Chai. Founded in 1898, Star Ferry is Hong Kong’s oldest mode of transportation. Another great location for admiring the Victoria Harbour view is the International Commerce Centre (ICC) in West Kowloon, the tallest skyscraper in Hong Kong. Either at the Sky100 Observation Deck or the Ozone Bar at the Ritz-Carlton (the highest bar in the world! ), the height and location will give you a perfect view of the harbour, with views of both Kowloon and Hong Kong. Central was the de facto capital of Hong Kong during British rule, and the legacy still lives on. Today it is the prime Central Business District (CBD), and it is also a symbol of affluence and status. Central is where there is a biggest cluster of colonial architecture. Old colonial buildings juxtaposed with modern skyscrapers with glass windows coexisting next to each other is not uncommon. The Mid-Levels Escalators will take you from the busy CBD to a slightly more relaxing neighbourhood of Soho, where you will see a lot of old joints adjacent to new hip places. Many hip cafes and restaurants have been opening in the area recently. Soho is an area with a lot of unique character, and it is quite unlike the typical impression of a busy metropolis. You will also find a lot of street art, as well as art galleries in the area. 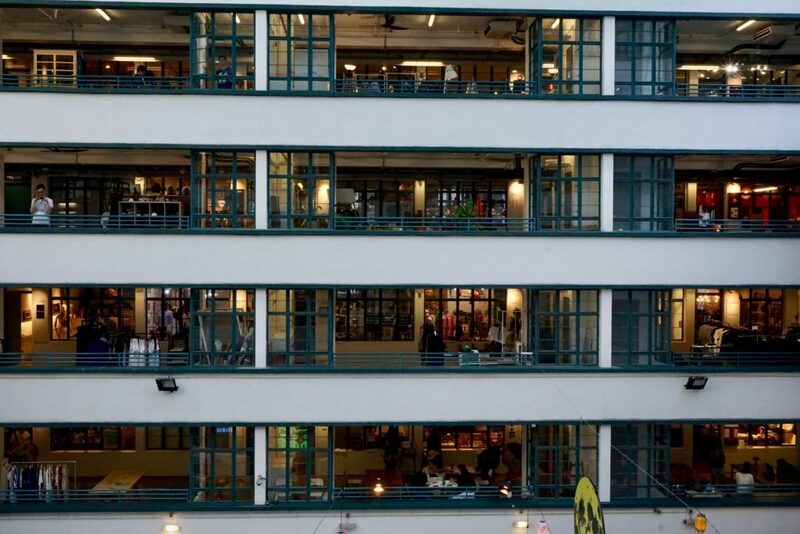 The former police married quarters (PMQ) has turned into an arts and design venue, which was formerly used as police married quarters built in the 1950s. The current PMQ opened in 2014 after over a decade of disuse. It is home to many local independent designers and artists, selling numerous unique designs and merchandises. From clothing, jewellery, accessories, homeware and more. PMQ also hosts temporary arts and design exhibitions. Bear in mind that some of the shops and studios don’t open during weekdays, so visiting on a weekend would guarantee a full experience. 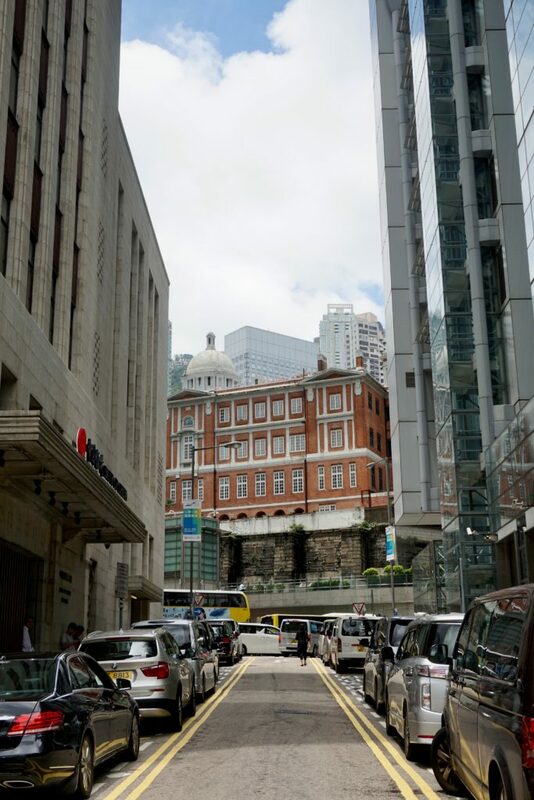 Tai Kwun opened to the public in May 2018, which is formed by 16 buildings formerly used as a prison, magistracy, and police headquarters. They were built in 1841, 1847, and 1864 respectively. Today it is regenerated into a new heritage and arts complex after over a decade of restoration. Within the boundaries of Tai Kwun are a contemporary arts museum, a performing arts auditorium, restaurants & cafes, retail spaces, and more exhibition galleries providing new spaces for arts and culture. The buildings were constructed in the early years of British rule, and they symbolise the establishment of law and order in Hong Kong, and therefore are of great historical significance. You will learn about the history of Hong Kong’s law enforcement – from 19th century all the way to the present day, the development of the Central area, and more. You can also visit old prison cells and learn about life at prison back then. 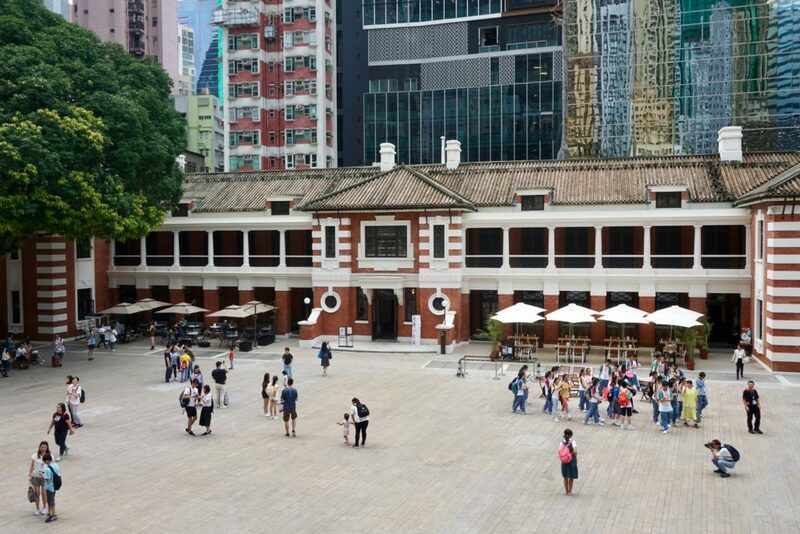 These buildings have been well preserved, and it is Hong Kong’s largest and most expensive heritage conservation project to date. The Peak is very populated with tourists, for a very good reason. This is where you can get a panoramic view of the urban jungle. For a less crowded touristy experience, skip the Peak Tower observation deck, and head to the Peak Circle Walk instead. 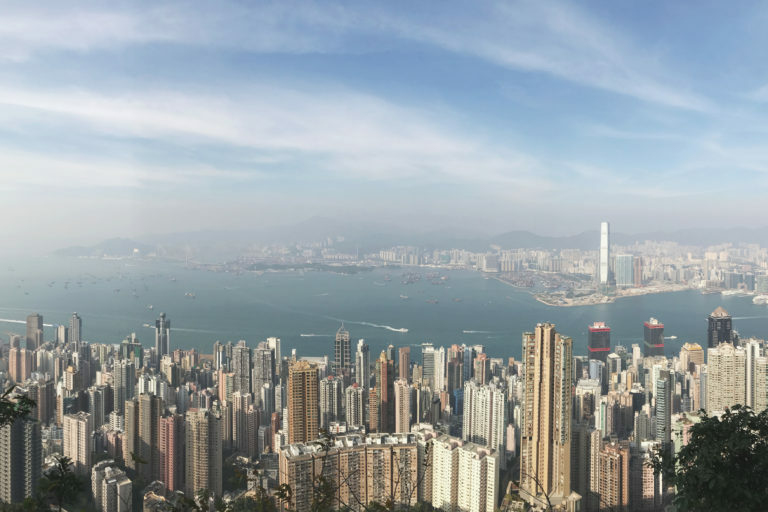 It offers the same (if not better) view of northern Hong Kong Island, Victoria Harbour and Kowloon, with a little peek of Southern District as well. You will be surrounded by the nature, so personally I think it is a more relaxing option than the popular Peak Tower. For more off the beaten path things to do (beach, hikes, etc), head to Southern District. Dim Sum - One must not come to Hong Kong without trying Dim Sums, and they are perfect for a big breakfast or brunch. Great places to get Dim Sums include Tim Ho Wan, Dim Dim Sum, Lei Garden, Above & Beyond, Tin Hung Leen, and more. In particular, Yum Cha is famous for their very photogenic dims sums. Be aware that most restaurants only offer Dim Sums until late afternoon, but specialty joints offer them all day so you can have breakfast for dinner. Egg waffles - aka bubble wrap, bubble waffle, or eggette, whatever you like to call them. This sweet treat has been crazily popular in the West in the past few years, and there’s nowhere better to take a bite of this waffle other than where it was invented! Lee Keung Kee, More Eggettes, Mammy Pancake are good places to begin, with both traditional flavours and ones with a modern twist. Traditionally it is eaten plain, but now there are all sorts of flavours and fillings – matcha green tea, chocolate, sweet potato, and even egg waffles filled with Honey Stars cereal! Cha Chaan Teng – aka tea restaurant in Cantonese, is where you will find a wide range of cheap local delicacies. Pineapple buns, Hong Kong style soup macaroni, french toasts, milk teas, and more. The scrambled eggs at Australia Dairy Company are to die for, and Tai Hing is where you will find a whole range of these traditional Cha Chaan Teng dishes. 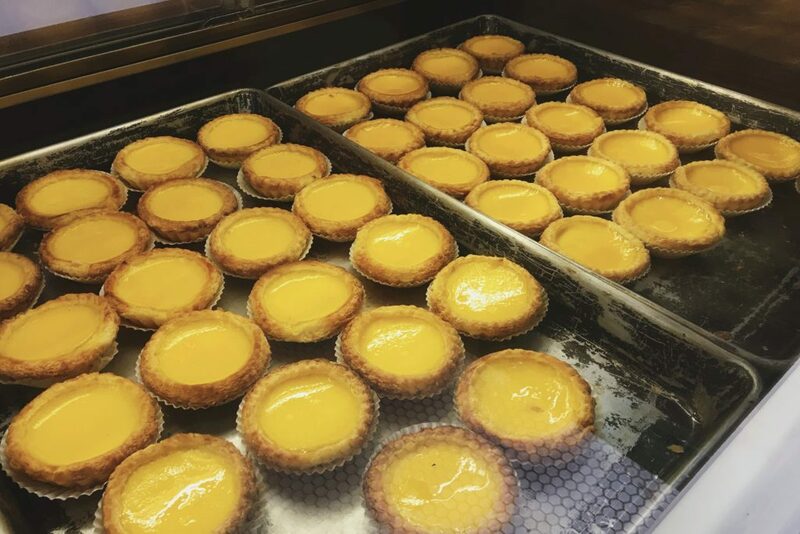 Egg tarts - Similar to Portuguese custard tarts, Hong Kong egg tarts is also one of the many great local delicacies. You might be able to find egg tarts on the Dim Sum menu, depending on the restaurant you go to. Many local Cha Chaan Tengs and bakeries sell egg tarts too. There are two types of crust – crispy biscuit crust and puff pastry. Specialty bakeries include Queen Sophie and Tai Cheong Bakery, which was frequented by Hong Kong’s last British Governor Chris Patten. Summer months in Hong Kong gets extremely hot and humid, so visiting during that time might not be very ideal. The weather is either super hot or very rainy. Also, there’s a chance to encounter a typhoon during the summer, which might disrupt your travel plans to/from and within Hong Kong. The airport would get extra chaotic with delays and cancellations. Cooler months from October to April are great times to visit, when the weather is more pleasant. MTR is the tube/metro/subway system, and is super convenient. With 12 lines (and counting), it will take you to almost everywhere you need to go to. If you find yourself on the northern part of Hong Kong Island, the tram is also a great option. You get to cruise through the urban jungle, and look out the window and see the scenery changes. The tram has been operating since 1904, making it one of the oldest modes of transportation in Hong Kong, the other being Star Ferry. Get yourself an Octopus Card, top up with money, and you’re good to go. The card is accepted on all public transport. You can also pay with the card at many restaurants and shops, as well as vending machines. Ashley is a travel blogger at Delicacy of a Unicorn. After five years of living in the UK, she is now based in Hong Kong where she was born and raised. Photography, travel, food are among the many things she’s crazy about. Follow her journey on Instagram, Facebook and Twitter. Traveling to Hong Kong with kids? Check it this post about things to do in Hong Kong with your family. 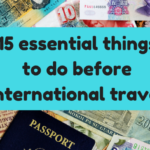 It’s great to have ideas for short visits to a city … especially if you sometimes travel by cruise ship when you usually only get a day in a port. 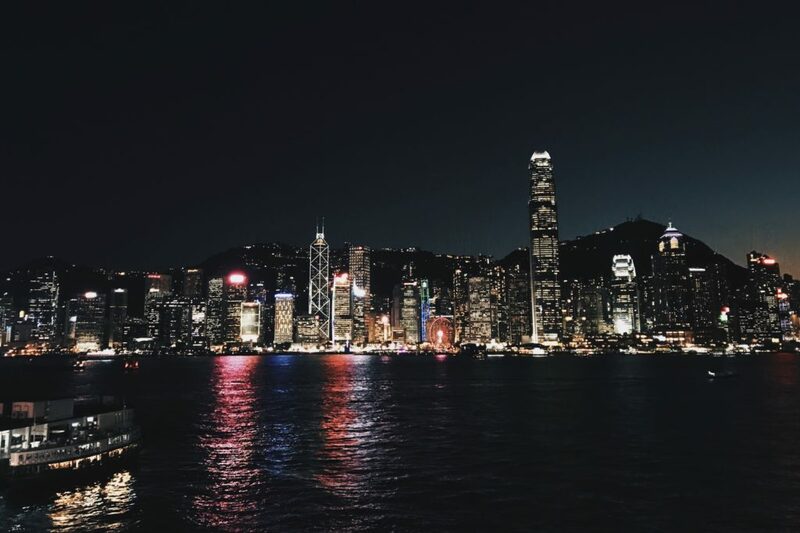 Thanks for sharing your 2 day itinerary – I love how you split the days between Hong Kong Island and Kowloon. (My only experience in Hong Kong was on a 1 day cruise ship stop where I tried, but didn’t succeed, to do everything!) I’ll save for my next visit and post to Flipboard, G+ and Pinterest. Thanks again! Marvellous. Very interesting and informative. Your itinery sounds very good to a local too.